Not all types of artificial turf are made the same. 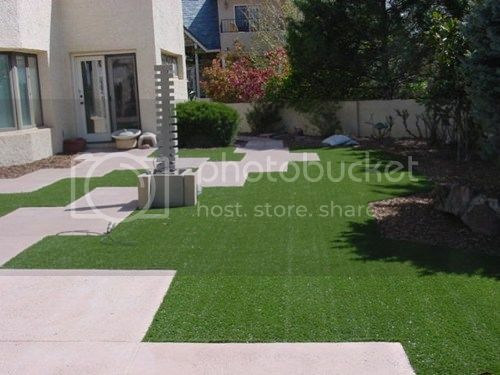 You want to make sure that you know what you are paying for before you purchase and install your artificial grass lawn and you can’t do this unless you know what the different grades associated with turf mean. Doing your research is a key element of shopping for synthetic lawns but the wide range of styles, models and grades can make comparison shopping confusing. First-Run Turf: As you can expect, this is the highest quality turf available. It will be the turf that is the highest quality product produced by a manufacturer. It will typically have an extended warranty associated with it that offers you protection in case the turf begins to wear too quickly or gets torn. You’ll want to review the warranty carefully to discover what it covers. A typical warranty for artificial turf lawns covers eight years. When purchasing first-run turf, make sure to get product information sheet from the reseller. This will tell you the specifications for the product so you can inspect your turf before installation to ensure that it meets the requirements. A roll of first-run turf should closely match the same that you reviewed before you made a purchase. Factory Seconds, Overruns and Closeouts: While shopping for bargain synthetic grass online, you might see deals on “overruns” or “closeouts.” While manufacturers do sometimes create too much product or decide to discontinue a model, it’s more likely that what the reseller is selling are factory seconds. These are products that cannot be sold as first-run turf because of defects during manufacturing. Some of these defects may be minor and not significantly impact your use of the turf. However, you’ll want to be cautious and inspect these products carefully and try to get a warranty from the reseller directly. Used Turf: It might seem like a lot of fun to go online and purchase artificial turf previously used at a major sports venue and install as your new yard. However, purchasing and installing used turf has many downsides. Artificial turf used for sports fields is different than artificial grass for lawns, including the use of small pellets of rubber or silica as infill. Artificial sports turf also wears down quicker than home yard turf, so you will almost certainly have to replace it after a short period of time.